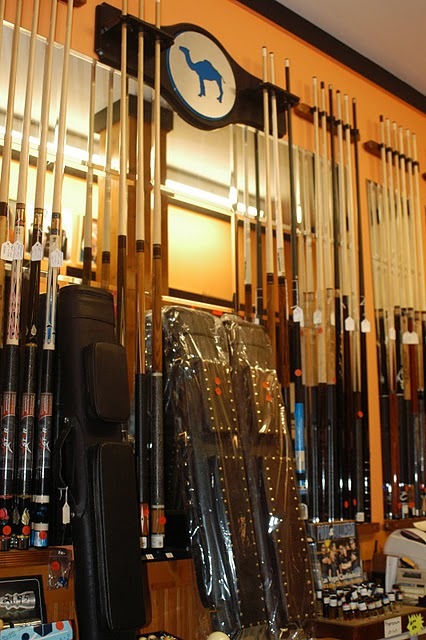 Our pro shop is located on the very back wall of our 10,500 square foot facility. 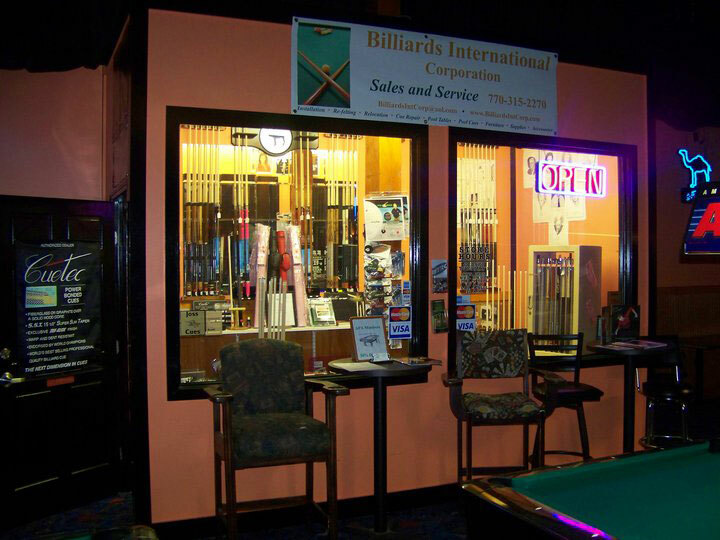 The pool and dart pro shop is maintained by Gregg at Billiards International Corp. Gregg has been serving the southeast and Marietta since 1994 and carries a wide variety of custom production pool cues and accessories for billiards including cues by McDermott, Joss, Cuetec, Schmelke and Pechauer. 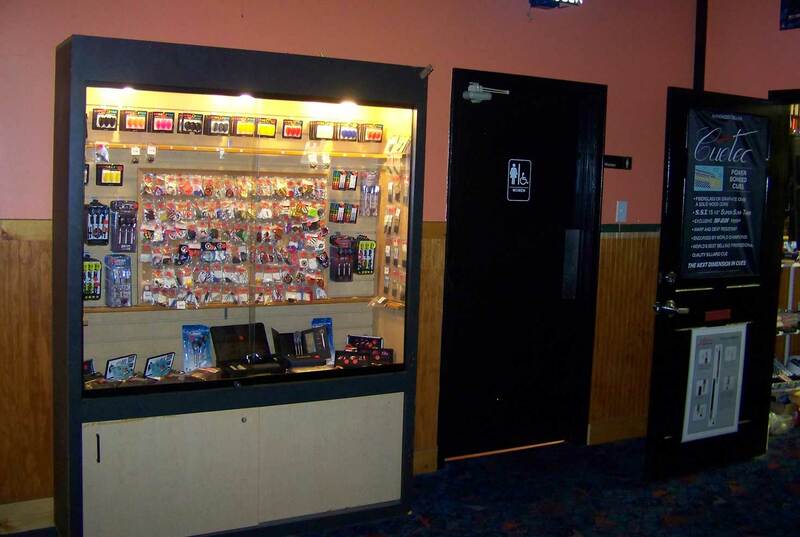 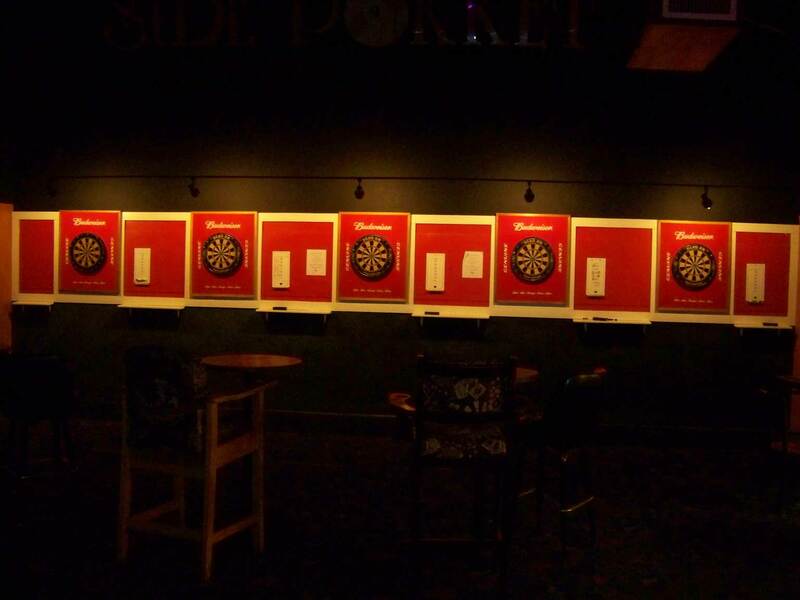 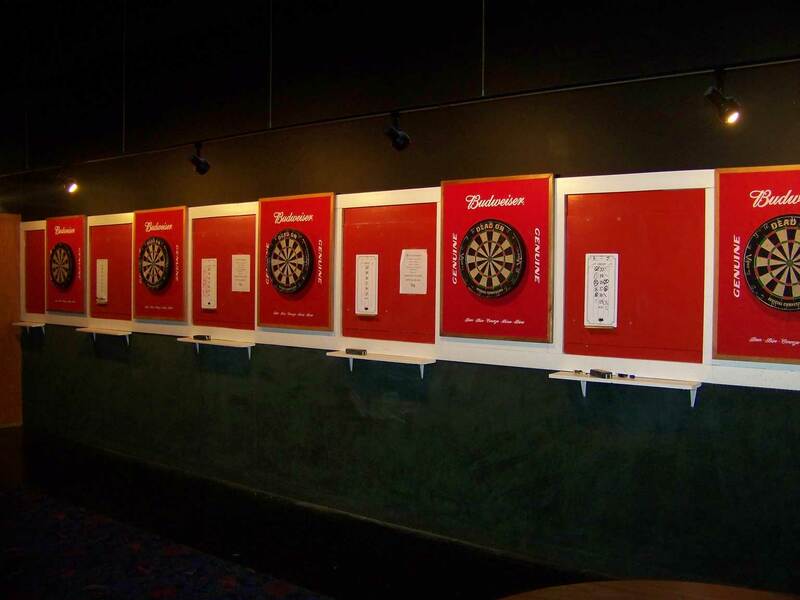 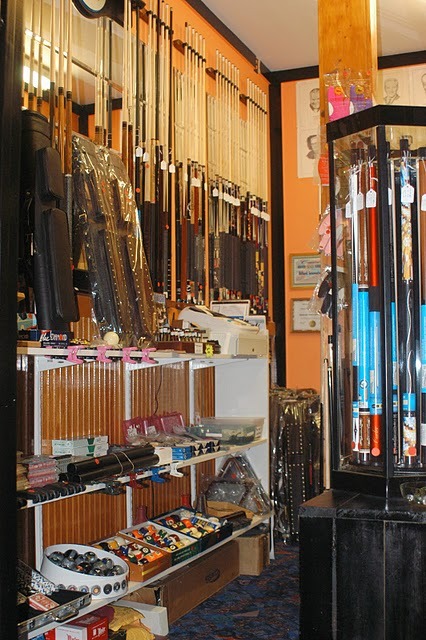 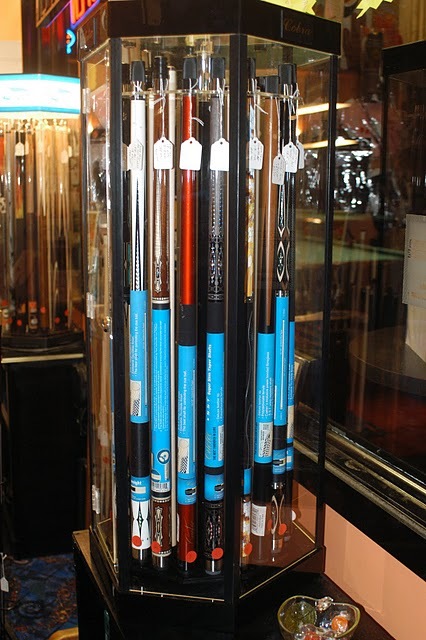 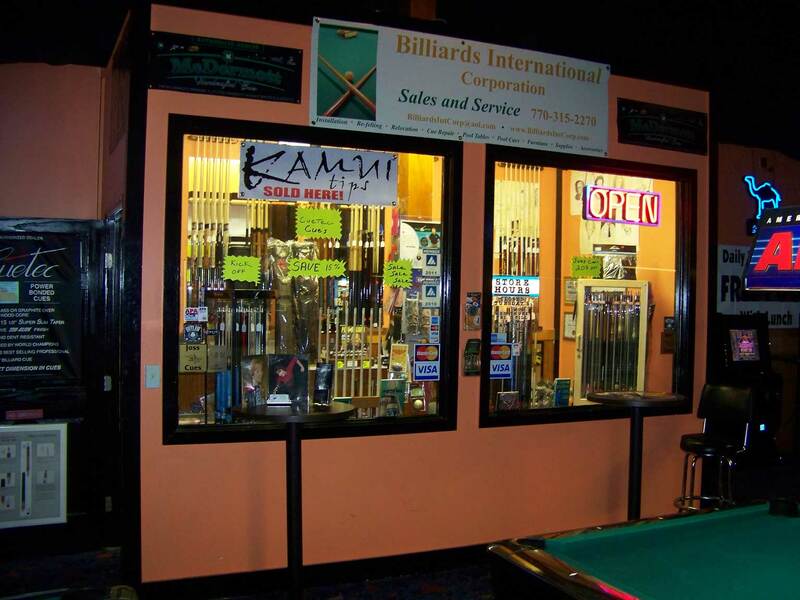 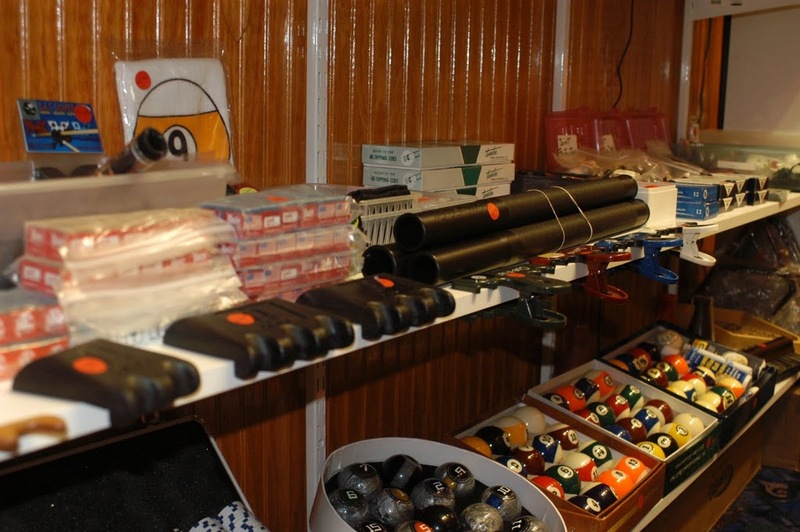 The Billiards International pro shop also maintains a wide variety of darts and dart accessories. 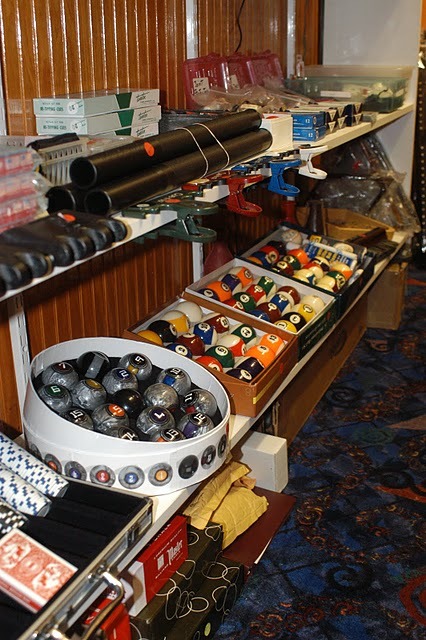 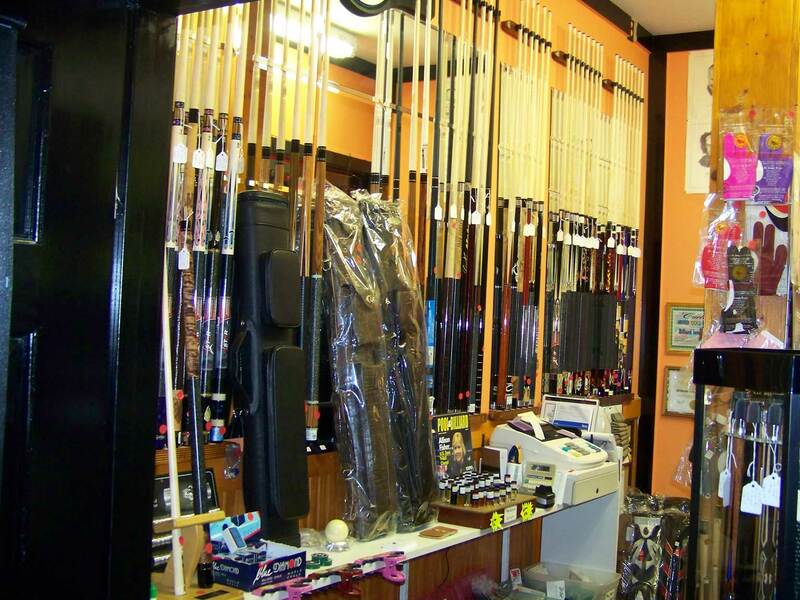 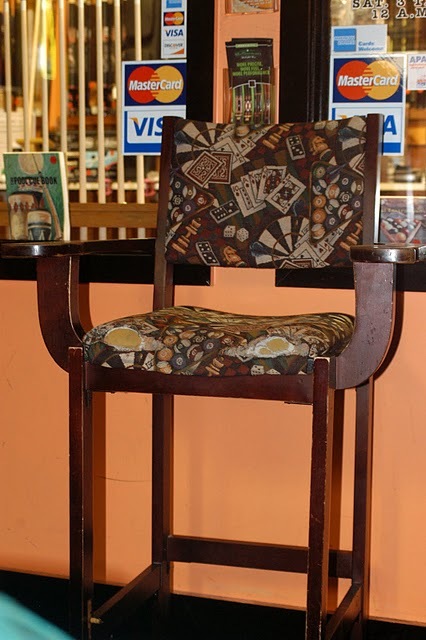 Gregg is always available to answer questions and assist you with billiard or dart accessories. 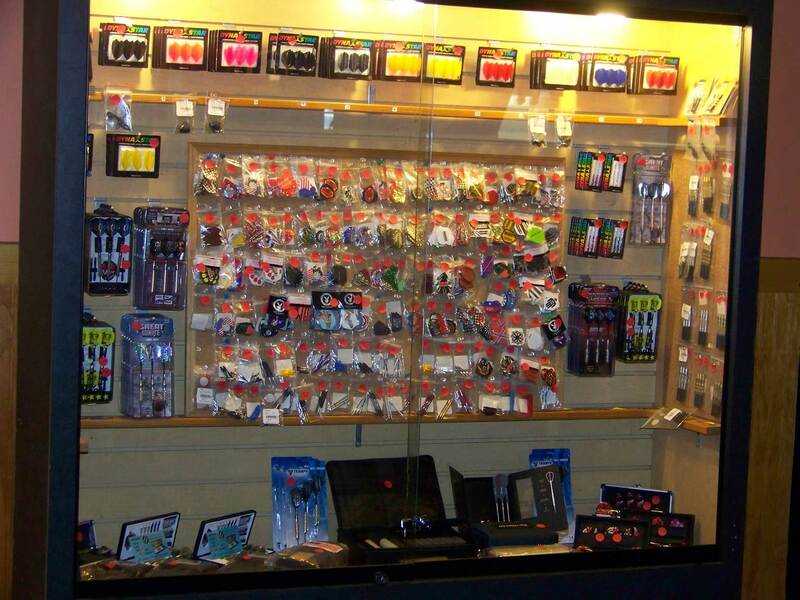 The pro shop takes Visa, MasterCard, American Express, Discover and PayPal.